Will Gov. Abbott Do His Part To Get Rid of Red Light Cameras? 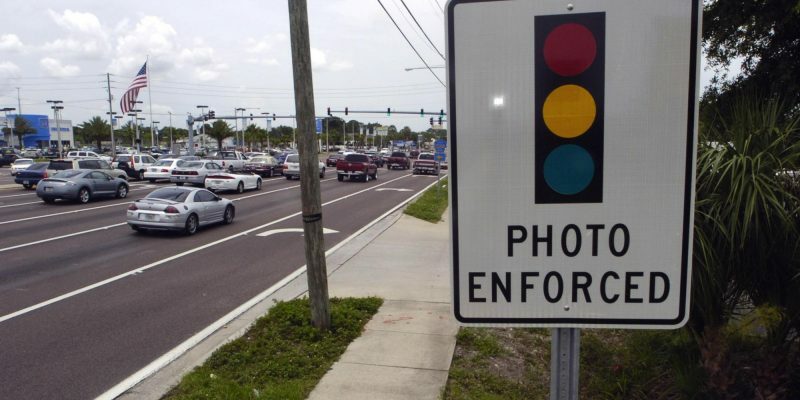 Grassroots activists from all over the state are calling on Governor Abbott to include a ban on red light cameras in the official call for the upcoming special session. They cite unconstitutionality, the violation of due process, and the overreach of municipalities in violating rights to raise revenue. You can read their letter and see the list of signers here. Several of these activists have been in the trenches over the last several years fighting the camera programs at the local level and seeing firsthand the lengths municipalities will go to in order to keep their revenue stream. “Local control” is a popular term among the municipal lobbyists and police unions who come down to Austin to testify against statewide camera bans. What they fail to understand is that when the rights of the people are violated, the State has a duty to step in and protect those rights. Due process is a bedrock principle of our Republic and is just one of many reasons these contraptions should go the way of the buffalo. Despite the groundswell movement, Governor Abbott is keeping a tight lid on whether or not he will actually listen to the will of the people. This should be an easy sell as it is one of the most popular non-partisan issues in the state, but politicians are not exactly known for using their brains. The Governor made banning red light cameras a part of his original platform when running for office, and surely he intends to be true to his word. Passing this type of legislation will be very popular among the masses from every political background, unlike basically everything else he wants to do during the special session. He will get some totally awesome material for fundraising emails during his reelection campaign. He might get to sue someone! Anyone who knows Abbott knows that is his most favorite activity, and anyone who is familiar with the fight against red light cameras knows those camera companies do not go down without a fight. What an obvious win-win. Here is to hoping the politicians listen and the good guys prevail. Previous Article Do Accused Illegal Aliens Have Rights In America?